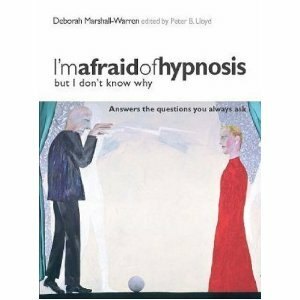 Deborah is an award winning hypnotherapist with practices both in London and Malta. Renowned for her interactive hypnotherapy skills, Deborah is a recipient of the Emeritus Fellowship by the National Hypnotherapy Society (FHS UK). Deborah is the author of three books regarding hypnotherapy, and is a regular contributor to leading debates and industry discussions. Today she is celebrating close to 25 years experience, and is recognised as a leading practitioner in her field. Deborah offers interactive hypotherapy, as opposed to direct suggestion. She says, “Working interactively has long lasting results. It is more adaptable than direct suggestion, and tackles the ‘root’ causes, not just that surface layer. With interactive hypnosis, you can take the client back to childhood, adolescence, or early adulthood to discover patterns of behaviour and ‘root’ cause scenarios and associations. Deborah can then support you in changing them, within the unconscious, to a more positive experience. How Can A Hypnotherapist Help You? Hello, as you can tell from the information above, my name is Deborah and I am a hypnotherapist. I work two weeks of every month in central London, helping clients from all walks of life to deal with problem areas in their life. Typically, these are issues that we face alone. In the hustle and bustle of everyday life in a major city like London, there are stresses and pressures that make it very difficult to concentrate and find the will power that we need in the moments that we need it. Additionally, the stressful nature of most people’s jobs in London means that there are outside people and pressures that can derail our efforts, they sneak up on us and in a moment of weakness we are smoking, drinking or eating junk food again. The reality is that most of us have what it takes to do those four things above, we usually just need a little help to get started and get into a rhythm. Once we have that rhythm, a habit will form and it will become easier and easier every day to achieve our goal. Any skilled hynotherapist, whether myself or someone else, can help you to get that mental push and start. Typically, we then help with a number of follow up hypnotherapy sessions to reinforce the message. The combination of these factors is able to help a high percentage of people to overcome their limitations and doubts and achieve their goals through hypnotherapy. You can do it too! Although I am based in central London 2 , I have helped people from across the south east of England and over the years I have worked with many thousands of people. My clients and patients have not just been stereotypical hard charging types in the financial or legal sectors that are looking for an edge, but managers, employees, mothers, housewives, actors and every other type of person you can imagine. We each have our own obstacles, challenges and fears to overcome and using hypnotherapy I can help you to beat yours and make the changes that you hope and want to make. The question then is whether you are ready to take action and make the changes that you need to make. If you are ready, I suggest that you contact me today and we can arrange your first hypnotherapy session. Although I am only in London two weeks per month, we can have sessions by using Skype if that makes life easier for you. Distance should be no barrier to your well being. I look forward to hearing from you soon.